Entering the game for the Boston Red Sox……. DIRTY CRAIG!!!! 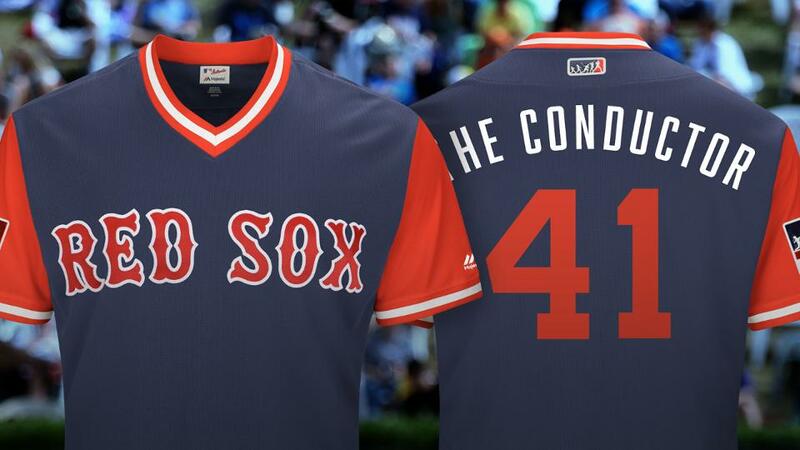 For the second year in a row, the MLB will host Players’ Weekend, in which major leaguers will sport extremely colourful and non-traditional uniforms. These alternate designed uniforms are inspired by youth league uniforms and will have players wearing chosen nicknames on the back. It is a good weekend for players to show off a little personality and to showcase a fun self-created or given nickname. “2-Bags” (Mitch Moreland) – This nickname started last year, as Mitch was second on the team in doubles. Mitchy 2-bags is another variation of the nickname. “Brockstar” (Brock Holt) – Obviously a play on his name, Brock has used the twitter handle Brockstar4lyfe in the past. Holt’s rockstar hair style of last year also was quite fitting. “Carita” (Rafael Devers) – Carita translates to baby face, which is a fitting nickname bestowed by his Red Sox teammates on the extremely young third basemen. 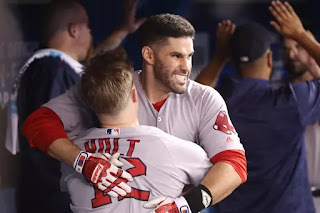 “Dirty Craig” (Craig Kimbrel) – Kimbrel’s stuff can be downright dirty and no team really wants to face Dirty Craig in the bottom of the 9th inning while trailing. “Bootsie” (Ian Kinsler) – Kinsler was given this nickname by Texas manager Ron Washington way back in 2007. He’s still not sure why Washington gave it to him. “Flaco” (J.D Martinez) –Martinez got this nickname at age 10 for looking like a stick figure. Flaco is Spanish for thin. “Late Lightning” (Steve Pearce) – This nickname originated while Pearce was in Toronto earlier this season. He used the phrase to describe himself coming in late in a game he wasn’t starting and making a big impact. “Big Smooth” (Drew Pomeranz) – David Price and Rick Porcello came up with this one. Why this is his nickname is still somewhat of a mystery, though Andrew Benintendi thinks it’s because he likes to take his time when pitching. “The Conductor” (Chris Sale) – What does a conductor do? They punch tickets. The punch out king gets a fitting nickname. Will 2-Bags add to his double total? Will Late Lightning strike and make some sparks? It’s going to be a fun player’s weekend in the MLB. Players' weekend starts August 24th.